James Eliot Gordon, 56, passed away on May 23, 2018 at Munson Medical Center with his family by his side. He had been a resident of 9736 N7 Road, Mesick, Michigan. He is survived by wife, Charlotte (Jackie) Gordon; step-daughter, Misty Weathers (Brandon); step-grandchildren, Conor and Brandon. Also survived by mother, Carole J. Elzinga of Buckley; brothers, David R. Gordon of Buckley; Kenneth C. Gordon (Dawn) of Buckley; Michael L. Gordon (Diane) of Vulcan and sister, Amy J. Larson (Kevin) of Buckley, Michigan as well as several nieces, nephews and cousins. He was preceded in death by his father, Jerold R. Gordon; step-father, Ronald B. Elzinga; grandmother, Vina M. Deno; grandmother, Ruth Knight and sister-in-law, Diana L. Gordon. James grew up in Buckley and Bear Lake, Michigan. He graduated from Bear Lake High School in 1980, at which time he joined the United States Navy, serving from 1980 to 1987. He was assigned to the USS Dwight D. Eisenhower for three years and then Key West, Florida as an E5 Avionics Electrician. When James left the United States Navy he worked as a welder/fabricator in Traverse City, Michigan; Angola, Indiana and Vulcan, Michigan. He married Charlotte (Jackie) of Mesick, Michigan in 2011. 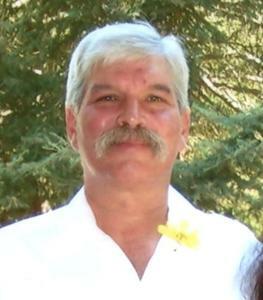 James (Jim) was an avid reader, enjoyed fishing, hunting and camping. He was always telling jokes and stories to others and loved making others laugh. A memorial gathering celebrating James E. Gordon's life will be held on Saturday, June 30th from 1:00 p.m. to 6:00 p.m. at Ellens Corners Community Building, 6052 West M-115, Mesick, Michigan. The family requests that in lieu of flowers, that memorial contributions be made to Jackie Gordon, 9736 N7 Road, Mesick, Michigan 49668. Please sign the guestbook and share your thoughts and memories with the family. The family chose Life Story Funeral Home, Traverse City.